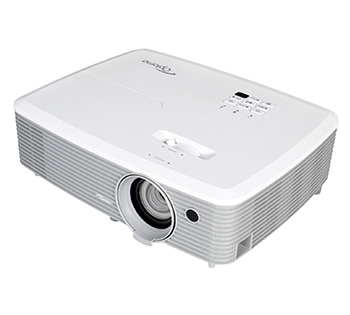 The Optoma EH400 offers you a high quality projection solution for your entertainment and business activities. Dynamize your meetings with its 4000 lumens and its 1080p full HD resolution that will allow you to project daylight with a sharp and detailed image. Turn your living room into a movie theater. Connect all your devices with both HDMI MHL ports, even your smartphone.. Enjoy your movies with vibrant colors, impressive details. The lamp of the Optoma EH400 projector offers you 10,000 hours of projection, approximately ten years of life, with three hours of use per day.